From Corrigan, Texas, Ford began his college career at Kilgore Junior College, where he earned 2nd-Team JUCO All-America honors after leading the conference with 32 receptions for 545 receiving yards. This performance earned him an offer from the University of Miami, where he played TE for two seasons. Ford, 6’6″ 255 lbs, signed with the Philadelpha Eagles after going undrafted. 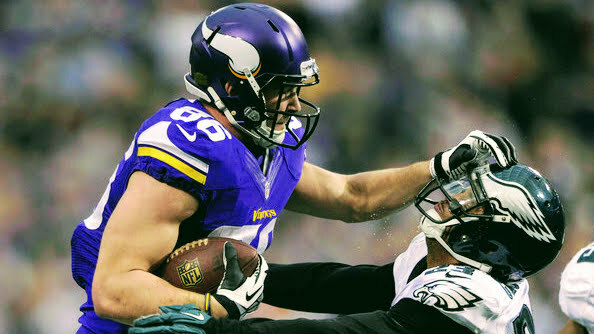 After spending some time on the Eagles practice squad, Ford was picked up by the Minnesota Vikings to fill in for injured TE Kyle Rudolph. Ford played 2 seasons in Minnesota, catching 34 passes for 391 yards and 1 Touchdown. He also has a stint with the Baltimore Ravens and Cleveland Browns. In 2018, Ford will bring his NFL experience, soft hands, and elite size to The Spring League to prove he can be a valuable contributor to any NFL team looking for Tight End depth.